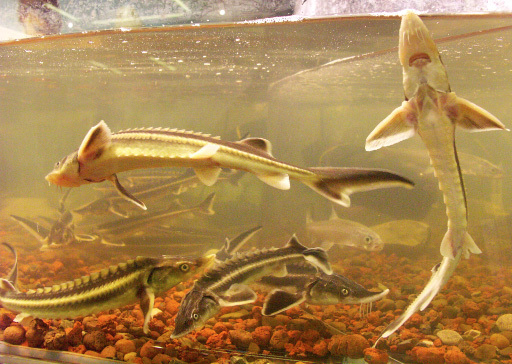 EXPERIMENTAL APPLICATION OF "NERESTIN-1" IN OBTAINING MATURE SEXUAL PRODUCTS FROM BREEDERS OF HERBIVOROUS FISHES. The - open joint-stock company "Donrybkombinat" (Donfishcentre) is the largest producer of herbivorous fishes larvae in Ukraine. The achieved capacity of specialized reproduction complex of theenterprise makes 250 million factory-produced larvae per one year. 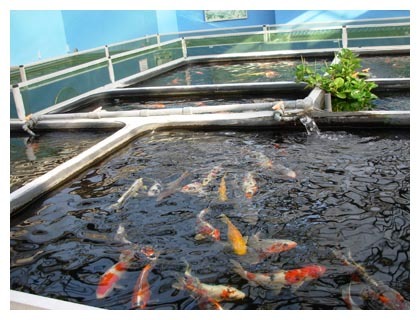 To force ripening of sexual products in breeders of white and bighead carp and grass carp, hypophyses of cyprinids of own preparation (from third-year market fish and rejected breeding material of the carp), were used at the enterprise till 1997. By the mid-90's of the last century, there was a sharp deficit of hypophyses at the Donfishcentre, caused by sharp reduction of volumes of market carp cultivation. Attempts to solve this problem by purchasing hypophyses "from outside" have resulted in an essential increase (up to 15-20 %) of the cost prices of larvae production because of expensiveness of the purchased hypophyses and difference of their quality, creating additional difficulty. To solve the problem of hypophysis deficit, Donfishcentre have been using the preparation Nerestin-l since 1997. Nerestin was developed by a research-and-production cooperative society "Aquaculture" (Russia, Moscow region, Pushchino). The share of the preparation “Nerestin-1” in the total quantity of stimulators of ripening of herbivorous fishes have steadily grown during six years of work and totals about 70% now. The preparation represents a mix of synthetic components (releasing hormones and adenohypophysis receptors modifiiers), having the ability of stimulating the own gonadotropic system of physiologically prepared herbivorous fishes. It is delivered in liquid, sterile, ready-to-use form “Nerestin-1” and has an updated variant “Nerestin-1A”, containing double concentration of active component. “Nerestin-1A” is especially convenient to work with huge individuals of breeders. The injection technology is the same as with hypophysis injections. In using “Nerestin-1”, we followed the instruction written by the developer of the preparate. We have improved the technology of “Nerestin-1” application for certain conditions. Moreover, SPK "Aquaculture" is still working on the improvement of the preparation and technology of its application, using in particular, questionnaire protocols received from the users of “Nerestin-1“ according to the results of work in each incubation season. I. Accuracy of dosages of active substance. The dosage is standard and is defined by the volume of the ready-to-use solution. To reach similar accuracy of dosage with preparation of hypophysis suspensions and their introduction in the body of fish is quite difficult, especially when using purchased hypophyses of unknown activity. 2. Convenient form of introduction - a solution without precipitates and suspensions, what cannot be said about hypophysis suspensions, the preparation of which takes away a lot of time and energy from the fish breeder specialist and does not give any guarantee against failures in work during injection owing to the contamination of the needle of the syringe by insufficiently homogenized hypophysis particles. 3. Absence of the overdosing effect of the preparation for females, which, at observance of other technological conditions of working with breeders, excludes formation of blood clots. It allows to use less qualified staff for realization of injection of fish, thus sparing time for the expert to perform other responsible work. 4. Sterility and harmlessness of the components of the preparation to the organism of fishes. There is no necessity for application of antibiotics, which is a necessary condition during hypophysis injection. 5. Commercial availability of the preparation (1.6-1.8 times cheaper than purchased hypophyses). Due to using Nerestin-1 at the enterprise it was possible to lower the cost price of factory-made larvae production of herbivorous fishes by more than 15 % as compared to work with purchased hypophyses. The fertilization of eggs varies from 60 to 90 %, which is similar to the value received with hypophysis injections of fishes. The production of factory-made larvae per female has a rather large amplitude of fluctuations caused mainly by different quality of breeders (size and age of fishes, source of breeder preparation: breeding material from ponds or market fish from catch on cooling water reservoirs of thermal power stations). The working fecundity of the females, based on factory-made larvae makes (in thousand individuals): white carp - 180-280, bighead carp - 210-335, grass carp - 135-270. This parameter is comparable to the analogous parameter for hypophysis injections. The loss of breeders offish after incubation does not exceed 5 %, while, when applying hypophysis injections, loss of the breeders, especially of females due to thromboses of sexual glands, achieved 20-25%. The industrial tests of the preparation also confirmed the features and restrictions of application of the preparation at daily fluctuations of temperature of water and sharp differences of atmospheric pressure caused by bad weather. So, in conditions of an adjustable temperature regime, it is better to give the permitting injection to females late in evening to make use of the natural daily biorhythm of maturing of sexual products of fishes. When adjustment is impossible, it is necessary to follow the daily regime of fluctuation of temperature in water, giving the permitting injection in the morning, when the temperature of water starts to increase. Taking into account these features of the use of preparation Nerestin-1, the experts of the Donfishcentre have not refused completely the use of hypophysis, and combine both stimulators in their work. Thus, the introduction of the preparation Nerestin-1 has allowed Donfishcentre to solve the problem of hypophysis deficit, and to improve essentially fish breeding and economical parameters of work on reception of progeny from herbivorous fishes.